On Saturday, November 24th, several NHLPA members and their significant others took to the ice for a Movember Foundation fundraiser – but they didn’t play hockey. 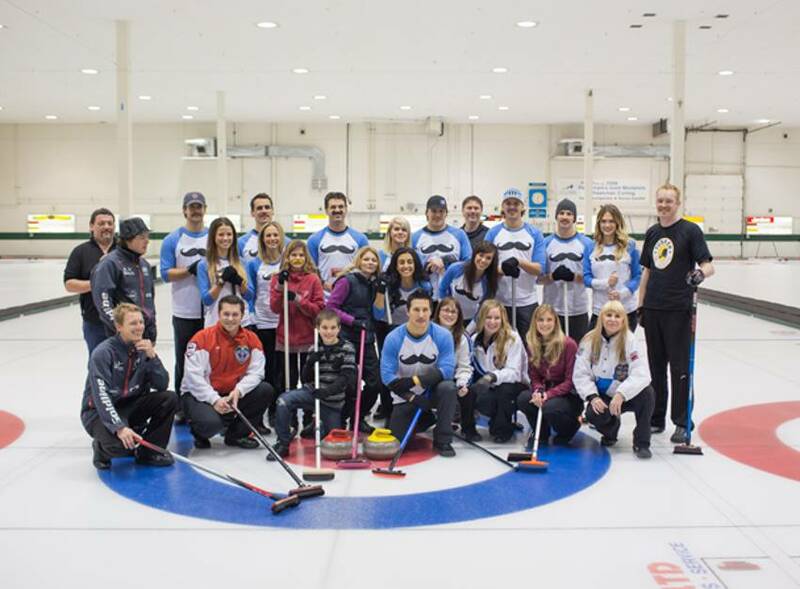 Instead, they participated in a curling tournament – a bonspiel - at the Kelowna Curling Club. Keaton Ellerby, and his girlfriend Lauren, organized the event so the players could interact with fans from the local community as well as raise money and awareness for a great cause. Movember, which is a world-wide initiative that raises money and awareness for prostate cancer and other men’s health issues, has continued to grow in North America over the past couple of years. Many NHLPA members have participated in the past, but this year due to the lockout, the Players’ have had to find other methods of getting the word out and raising money for this worthy cause. Ellerby was joined by fellow Players Brent Seabrook, Jordin Tootoo, Luke Schenn, Blake Comeau, Wade Redden, and former Player Todd Simpson. Each of the guys were accompanied by their wives and girlfriends, making the event a family affair. Though the group had never curled prior to organizing the event, they maintained their competitive nature and took the event seriously. They took part in a special practice lesson given by the Kelowna Curling Club’s General Manager, Jock Tyre. “It was interesting to switch my hockey stick for a broom, and I was so glad to be a part of this event,” said Luke Schenn. 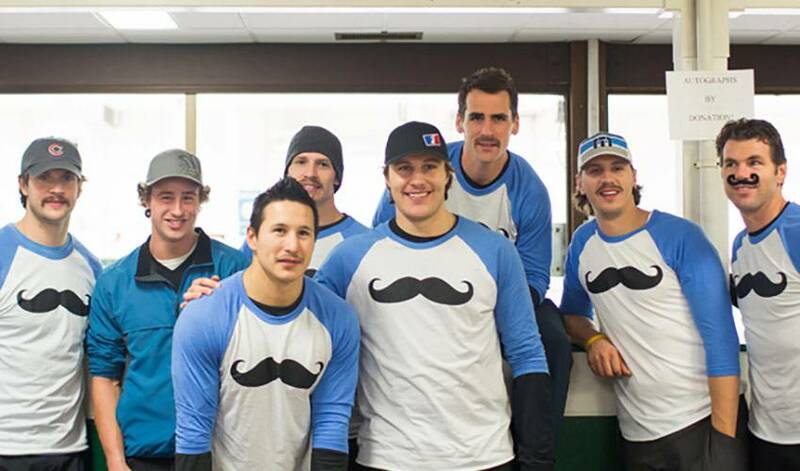 During the event, the players sported their mo’s (Jordin Tootoo received some stache criticisms in jest), and the entire group wore matching moustache shirts to show their support. In addition to the curling matches, the event featured a raffle draw, a silent auction, a Santa for the children, and each player took time to pose for photos and sign autographs for fans who came out to the club. 100% of the $5,000 raised at the event went to the Movember Foundation of Canada. “Everyone in your life will be affected by prostate cancer, whether it’s a friend or someone in your family. So, this event was important for us to put together,” said Lauren.